If you’re like most people, you may panic and have a near meltdown if the exterminator tells you that you have bedbugs. These critters multiply rapidly and are difficult to get rid of on your own. Don’t be too hard on yourself, because the cleanliness of your home may not have anything to do with the infestation. Has someone in your home visited? a hotel or motel lately? 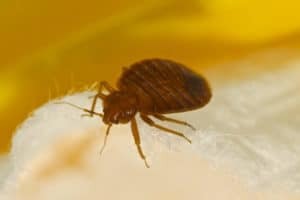 Sometimes bedbugs can hide in hotel linens, or even in hotel dressers. These critters can sometimes hitch a ride on your clothing and end up in your home. If possible, don’t use the dressers in hotels and keep your luggage elevated. If you have bedbugs, call a professional Frisco, TX exterminator at Safe Pro Pest.